Indulge yourself in the luxury of this John Hardy bracelet from the Classic Chain collection. 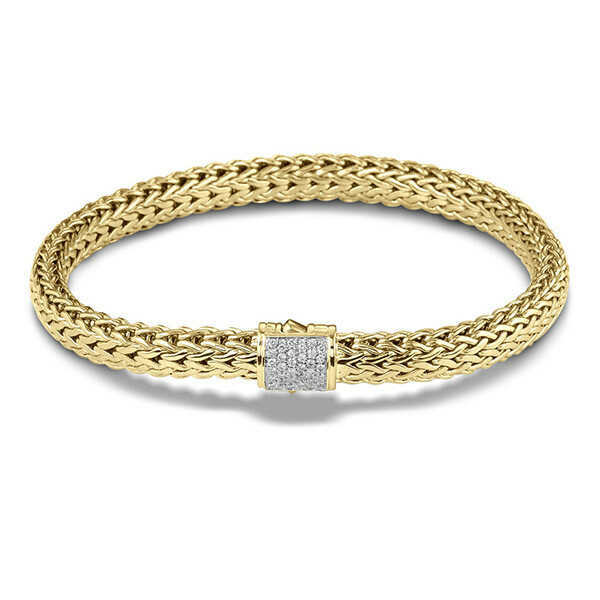 Each 18kt yellow gold strip is hand woven to create a pliant bracelet with a brilliant white diamond station. To keep the piece streamlined, this station also serves as the bracelet's clasp. John Hardy just made the standard gold bracelet a little more lavish!